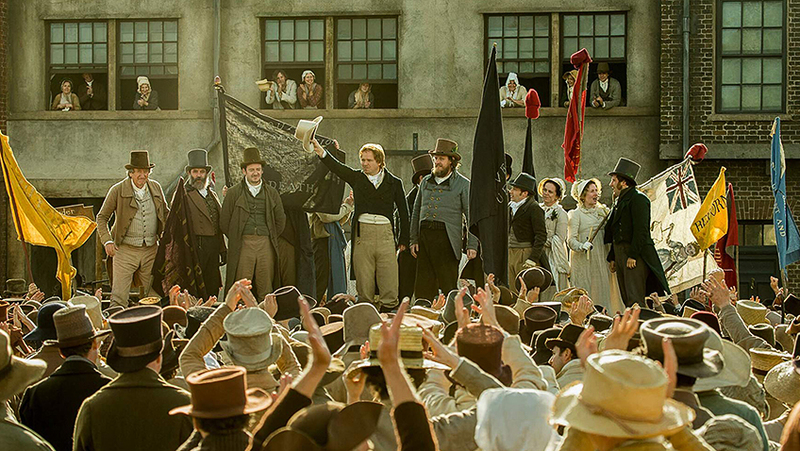 Peterloo (Entertainment One). Mike Leigh’s film would be very useful for those wanting a quick resume of events leading up to the massacre in St Peter’s Field, Manchester in 1819. The impoverished, starving working classes make speeches against inequality and speeches pro-democracy. There are too many speeches. There is a particularly effective montage sequence when a magistrate passes sentences on a number of criminals. Rory Kinnear is cast as the charismatic radical reformer Henry Hunt. The ruling classes are caricatured, cartoon villains every single one of them. 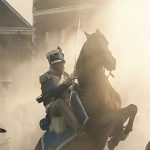 The massacre itself with mounted militia, sabres drawn, charging into a peaceful demonstration and the brutal chaos which follows, is brilliantly caught. Bohemian Rhapsody (20th Century Fox) chronicles and celebrates the meteoric rise of Queen and their music. Rami Malek won the Best Actor Award for his portrayal of one of the most popular singers, the flamboyant, bi-sexual rock star, Freddie Mercury (1946-1991) who died of AIDS. Malek is the first actor of Arab heritage to win an Oscar. His impersonation is impressive. He does all the strutting. Mercury does the actual singing. The film, the biggest grossing musical biography of all time, improves as it goes on and is at its best in its climax, the Aid Concert for Famine Relief in Wembley Stadium in 1985. Wildlife (Icon). Six out of ten divorces involve children. Actor Paul Dano makes his debut as director with this modest, sensitively acted family drama. 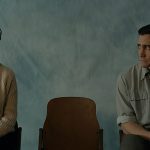 Sacked dad (Jake Gyllenhaal), unable to find work, goes off to fight forest fires in Montana in the 1950s, leaving behind his wife and teenage son. Mum (Carey Mulligan) goes off the rails and has a fling with a rich man. The drama is seen through the eyes of the teenage son (Ed Oxenbould) who wonders what is going to happen to him if his parents divorce. McKellen: Playing the Part (Network). Joe Stephenson’s on one of the great classical actors of our time will appeal to all theatre buffs. Ian McKellen, born in Wigan, brought up in Bolton, won a scholarship to Cambridge. His first major role was Aufidius in Coriolanus at the newly opened Nottingham Playhouse. He became a star when he appeared in the West End in a double-bill of Shakespeare’s Richard II and Marlowe’s Edward II. He worked at the National Theatre and the RSC. He was a founder member of The Actors’ Company. His major roles have included Macbeth, Salieri in Amadeus and Iago. He came out as gay at 40. He raised money for AIDS and campaigned against the anti-gay Section 28. His film career was launched with his Richard III film. His international fame came with Magneto and Gandalf. His most recent stage role was King Lear. Widows (20th Century Fox). Steve McQueen has always wanted to film Widows ever since he saw the Lynda LaPlante TV series in 1983 when he was 13-years-old. The woman’s film genre in the 1930s and 1940s were for women. The originality of this heist thriller is that it is female led and for men. 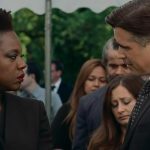 The four widows (led by Viola Davis) are determined to show they have the balls to carry out a heist and do it better than their dead criminal husbands. The cast includes Elizabeth Debicki, Colin Farrell and Robert Duvall. Women’s empowerment develops apace. Will the new James Bond be a female? Mifune: The Last Samurai (BFI). Akira Kurosawa and Toshirô Mifune had a tremendous influence on Japanese and Western cinema. With such films as Rashomon, Seven Samurai and Yojimbo they put Japanese cinema on the international map. Mifune’s performances were notable for their stillness and their explosive, graphic Kabuki theatricality. Steven Okazaki’s documentary praises his physicality, energy, intensity, discipline, humour and perseverance. Off-screen he was pretty much the noble, gallant, volatile, hard-drinking samurai he played on screen. One of his most memorable images is Macbeth’s spectacular death by a mass of arrows in Throne of Blood. It was a very dangerous shoot (literally) and Mifune was not insured! There are interviews with Martin Scorsese and Steven Spielberg.